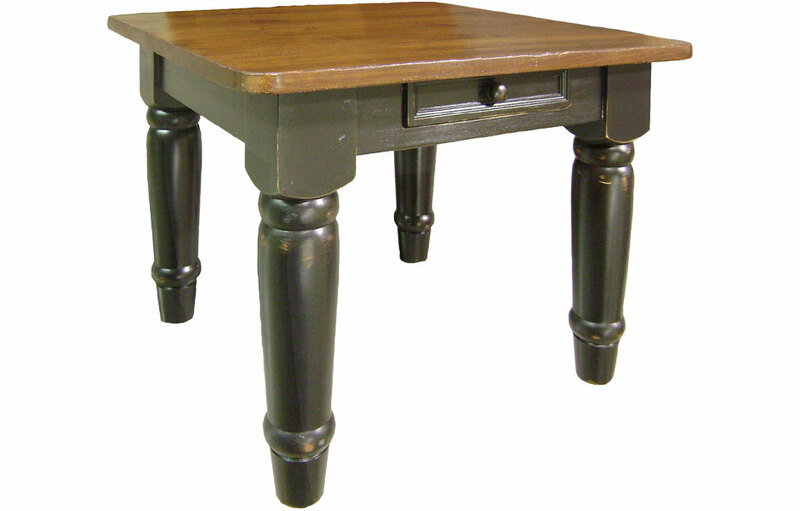 The Heavy Leg End Table has a sturdy design for rustic homes. It has four solid, thick turned legs and one drawer with a wood knob. The drawer face has a mitered flat panel design. The legs are joined to the skirt with mortise and tenon joints for longevity. The 5" wide legs are substantial, giving this end table a unique and rustic look. 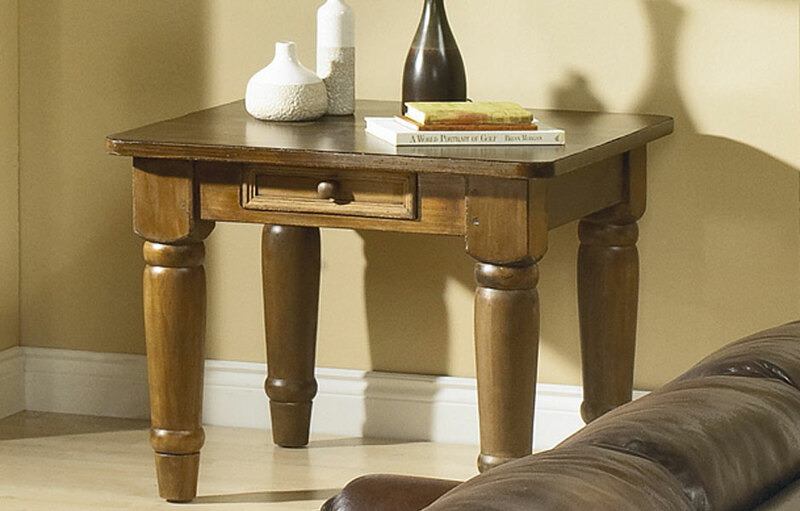 The heavy-duty, rustic leg Farmhouse End Table has a sturdy design for rustic homes. The large 5" turned legs provide heft, durability for daily use. 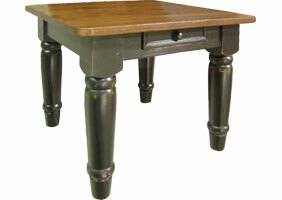 The end table has four, solid wood thick turned legs for strength and durability. 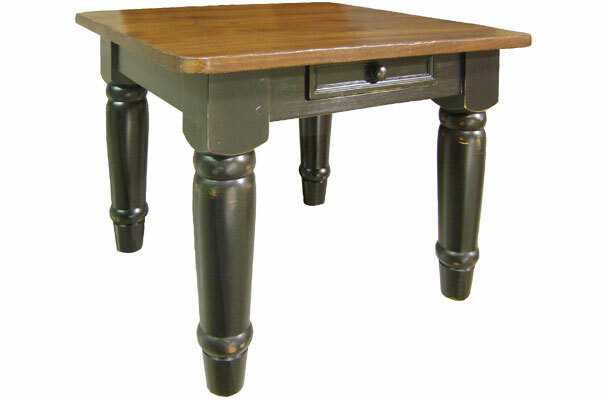 The heavy-duty end table offers one drawer with a classic wooden knob for storing a remote, books or reading-glasses. The drawer face has a mitered flat panel design. The legs are built with mortise and tenon joints for longevity of the end table. The 5" wide leg gives the nightstand a substantial, rustic quality. The square, 30" width x 30" deep design makes the piece versatile enough to use as a bedside table or end table next to a sofa. The top is water-sealed to prevent water rings, for daily use. The Farmhouse End Table has turned legs and simple embellishments making it a versatile occasional table to add to a variety of room styles including french country, farmhouse, English cottage, rustic lodge, traditional, or transitional. Heavy Leg End Table painted Black.